I hope you all had a great weekend! We had plenty of lazy time mixed with projects so it felt like a successful weekend! 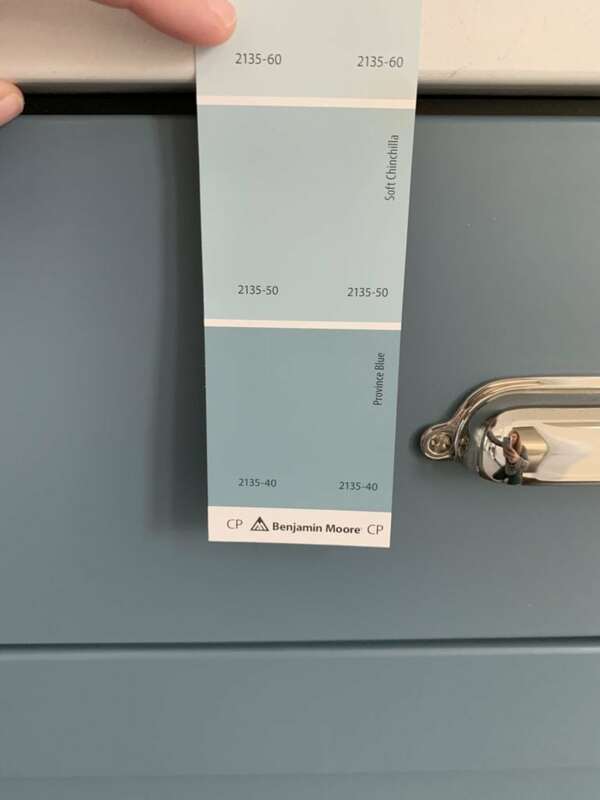 Friday I ran to our local Benjamin Moore store to pick up some paint chips for possible colors for our den. I’d already rounded up some from other brands but BM was offering a free paint sample that day as well. And suddenly I decided I wanted one of the colors on the back of our front door. Yep. One thing always leads to another! The samples below (L-R) are BM: Wedgewood Gray, Van Courtland Blue, and Waters Edge. We both still really love the Hale Navy but it got pretty beat up during our renovation last summer (if you look closely you’ll see paint scratches in several places). So it needed to be painted regardless. Kurtis and I both loved the same color so it was an easy decision. I’ll let you know soon which one we picked! It’s such a quick an easy project and can make such a impact in your home! I also picked up a sample of a color called Province Blue. 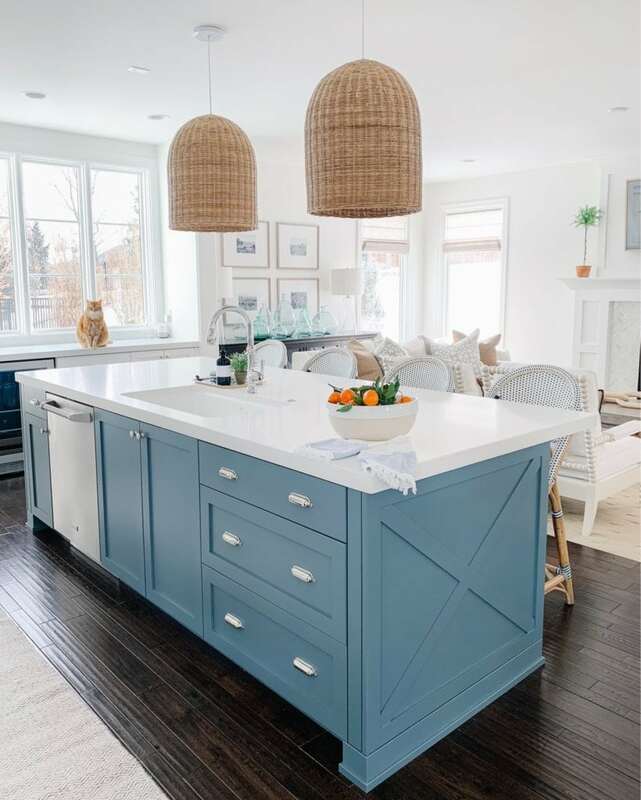 I can’t tell you the number of times I’m questioned (especially on Instagram) about the color of our kitchen island (which is Providence Blue). Multiple people have told me their BM store said I was wrong and I used Province Blue not Providence Blue. I’m pretty sure I know which color we used 😉 So I grabbed the same to show the difference. They are definitely close, but ours is darker and a little less green. 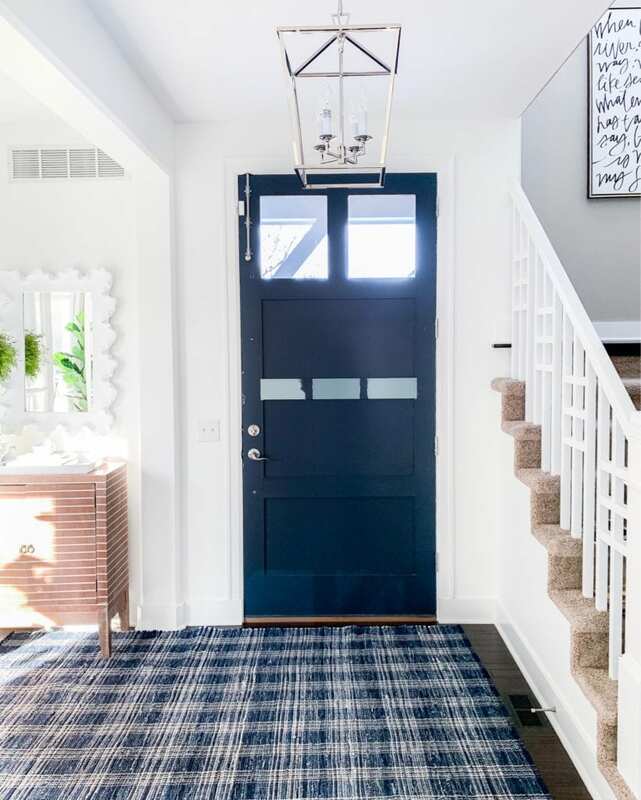 Province Blue may be a great option if you have a space that doesn’t get tons of light like ours does and it may give you the same effect! I shared some more details on our new nightstands on Instagram stories. Henley is hilarious because she always forces herself into the video one way or another. I plan to share a few more master bedroom updates early next week. 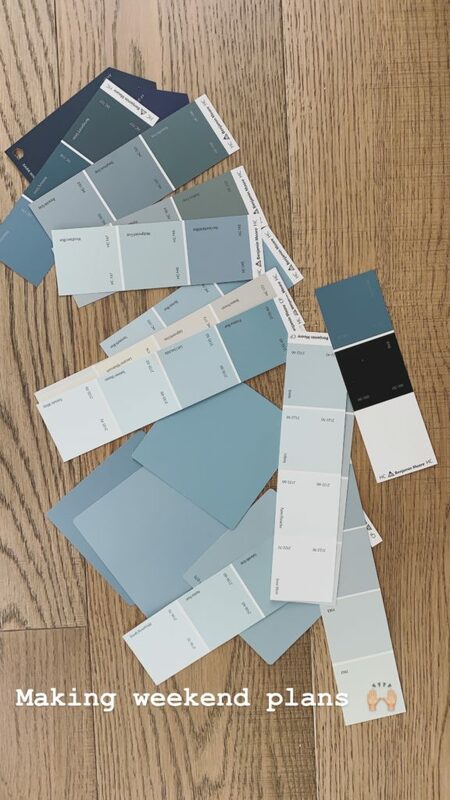 I also picked up some paint samples for the room last week so hopefully I can start narrowing down the options! I had to run to Trader Joe’s last week for a few items for my FWTFL program. I picked up these mandarin oranges that still had leaves attached and they instantly brightened our kitchen! I love when produce can double as decor! I’ve been making weekly Trader Joe’s runs to pick up food for FASTer Way to Fat Loss. I start my fourth week today and it’s crazy how fast it has flown by! Only two weeks left! Although I’ll probably sign up for another round once it’s done. If you want to learn more, you can do so here. My coach Jill Reikofski is starting another group on 2/18! She’s been so great to work with and I feel like I’m already more committed to this than I have to much else in the past. I’ve been documenting weekly videos that I plan to compile and share with my before and after photos. Stay tuned! I texted this image to Kurtis last week while he was at work. 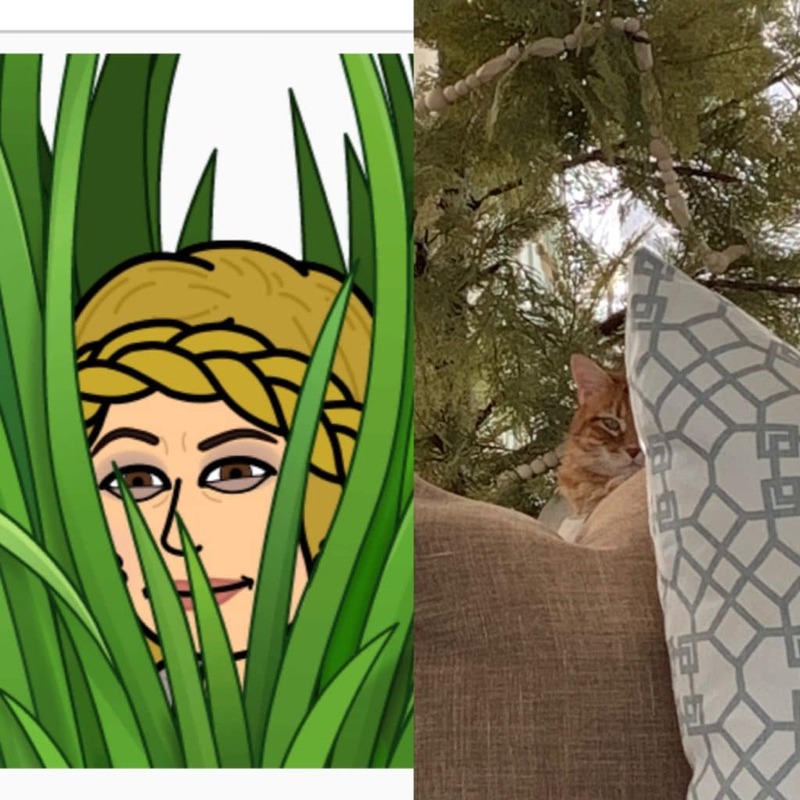 Bearcat was giving off major Bitmoji creeper vibes, don’t you think?! It still makes me laugh every time I look at it! 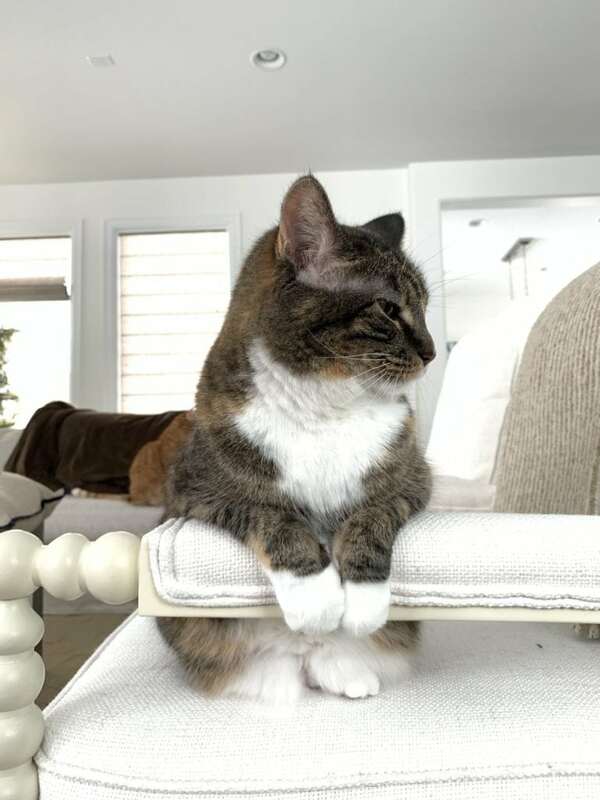 Henley’s newest thing is to sit like this on the side of the chair when I’m on the sofa. Such a goofball! 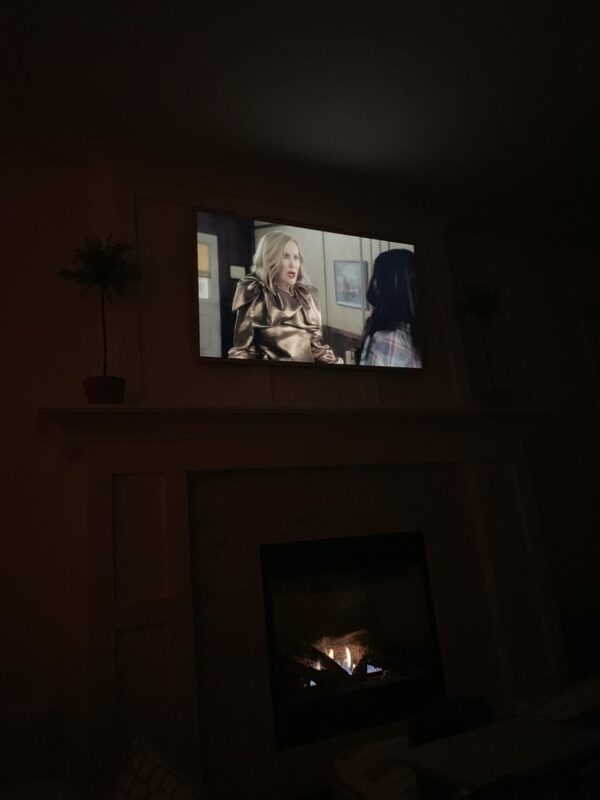 We started watching Schitts Creek last week after a bunch of you recommended it. I think we’re already through a season and a half! We’re still technically watching The Americans too, but sometimes we need something a bit more light-hearted. And Schitts Creek is hilarious (and I love the super short episodes on Netflix)! We also watched FYRE on Netflix and holy crap. We were borderline sick to our stomachs watching the whole thing unfold. If you haven’t seen it, it’s a documentary about Fyre Festival and the chaos that surrounded it. It was super interesting to watch. Hulu has another version that supposedly paints an even different picture, so we may have to check that one out as well. I finally bought a rug for our office! I was supposed to do it shortly after the hardwood floors were installed, but never did. I needed a 9×12 or bigger so the cost alone was scaring me off a bit. When I found this rug I knew it would be perfect. 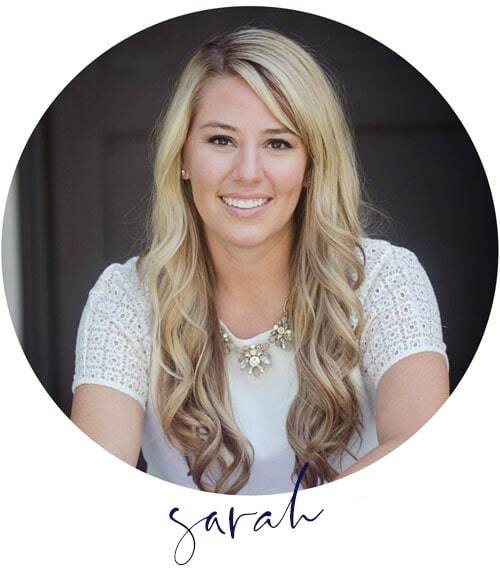 It’s only $8 more for a 9×12 than an 8×10, comes in tons of sizes and color options and is one of the most affordable options I found (with tons of great reviews)! I’ll let you know once it arrives! And hopefully you realize by now I was off a week on Presidents’ Day. Sorry about that! But the good news is, some of the good weekend sales carried over from the weekend! OLD NAVY is offering up to 50% off sitewide, plus an additional 30% off your entire purchase at checkout (no code required)! I ordered this top the other day and can’t wait to get it! I’ll be sure to share again if it’s a good one! You can shop their sale here. TARGET is offering up to 25% off home items. 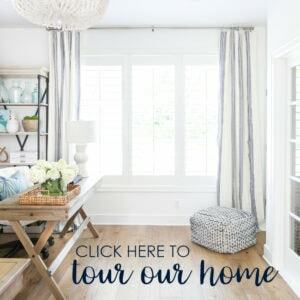 Plus get an extra 15% off curtains, indoor rugs and furniture online only with code HOME! You can see all eligible items here. Oh! Love the new rug! Anxious to see new front door paint. 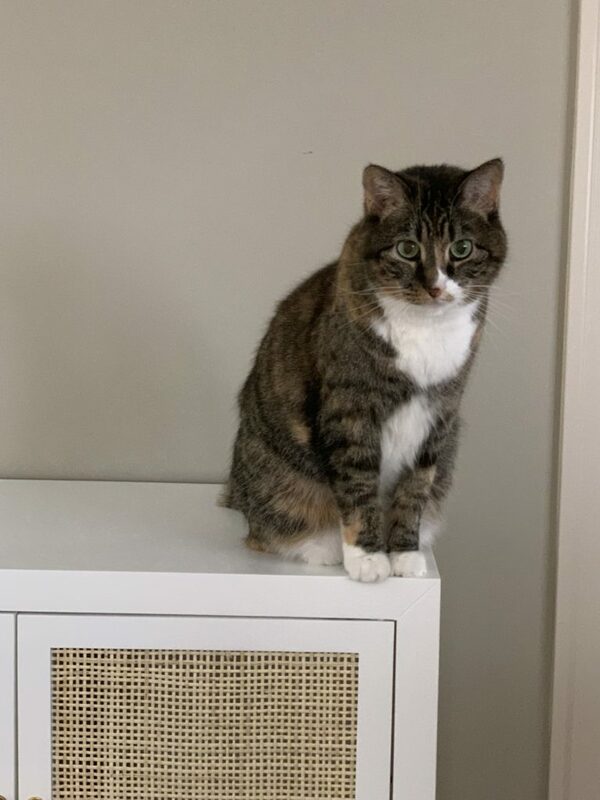 I love how the kitties show up here and there in your photos! Interested to hear more about your FWTFL experience! I’ll keep you posted! I’m starting week 5 today, and so far it hasn’t been bad! Is your den the room with straw hats on the wall?